Follow me and see just how much a man can stand before we go off the deep end. Before signing onto Young Jeezy’s CTE label in 2011, 30-year-old rising rapper Freddie Gibbs hit a rough patch, having dabbled in some urban vices at home in Gary, Indiana. All the while, Gibbs derived inspiration for an original flow and set of lyrics from an unconventional lifestyle that picked up industry attention. 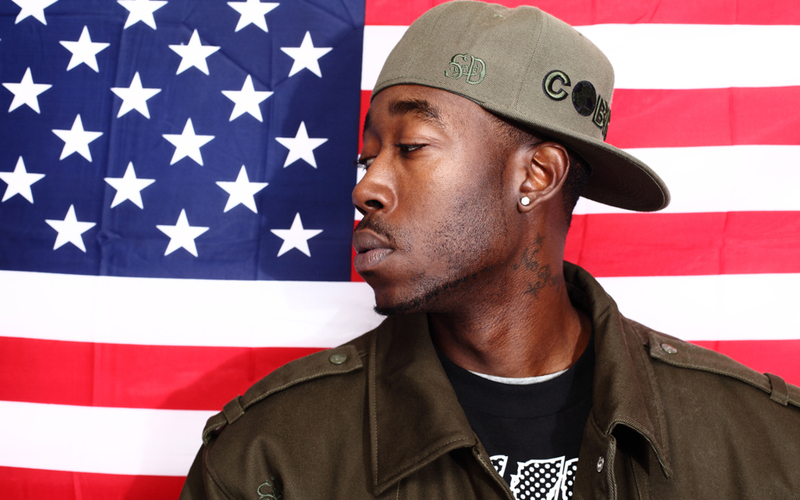 Gibbs kicked off his music career with online mixtapes, including the Miseducation of Freddie Gibbs, that had him eventually flying out to give record labels a shot. After a bit of trial and error with staying signed and a knack for producing mixtapes that shined under internet spotlights, Gibbs broke through and released his debut Str8 Killa EP (2010) with Decon Records. Once an underdog, the hip hop all-star is now on a roll, having since co-released his 2011 Shame EP with producer Madlib and, in the same year, his latest Cold Day in Hell mixtape. Gibbs is set to release his latest Baby Face Killa mixtape in July 2012. In the list of hip-hop hotbeds, Gary, Indiana resides well below New York City, Atlanta, New Orleans, and Atlanta and somewhere just above Greenwich, CT and Mons, Belgium. That said, it is home to one of the hottest, most talented rappers in the country, the bleary-eyed, razor-tongued Freddie Gibbs. To understand the 29 year-old, you have to understand Gary. Sitting about 30 miles outside of central Chicago, Gary was once a pillar of American manufacturing (steel, mostly), a throwback to the days where America used to actually produce things. Nowadays, many of the factories are closed down, and those that remain stand as bleak reminders of better days gone by. Crushed by unemployment and urban decay, Gary is often listed among the most dangerous and poorest cities in America, with of much of the crime centered around Gibbs' East Side neighborhood. Instead of shunning his unfashionable roots, the charismatic MC put them on blast with his break-out single, 2010's "The Ghetto." The single served as a four-minute manifesto of his world, explaining in no uncertain terms who Gibbs is, where he's from, and what he cares about. It's simultaneously an unsettling, honest look into an oft-overlooked part of American society and a celebration of the rapper's impressive storytelling, loquacious lyricism, and unassuming, everyman personal style. Gibbs also has the rare ability to rap openly about tragedy without letting it weigh his music down. In other words, it's thought-provoking and real but still fun to listen to. In a genre that increasingly values style over substance, Gibbs is all the later, evidenced by the perfectly fitting title of his breakout mixtape: the spectacular, aptly-titled, Str8 Killa No Filla. Gibbs' rapid fire, complex flow serves as the perfect foil for the disc's soulful boom-bap beats. One doesn't have to look much past its key tracks — the heartfelt "National Anthem" and the devastatingly personal, Bun B-assisted "Rock Bottom" — to see Gibbs complex flow and emotive lyrics. From there, Gibbs hasn't looked back. The versatile MC has enjoyed critical acclaim for collaborations with artists like the Black Keys' Dan Auerbach ("Oil Money"), Curren$y (the etherial "Scottie Pippen"), and UK garage producer Joker ("The Vision"), while having time to release another undeniable mixtape, 2011's Cold Day in Hell. No matter who he's working with or working on, Gibbs always brings Gary with him. That hardworking, no-BS spirit of the city has stuck with him, and let's hope it always does.